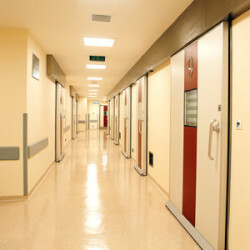 Corporate Clean Property Services has the expertise required to thoroughly clean and maintain Medical Centres and clinics, such that these environments remain as clean and healthy as they can be. We use eco-friendly, hospital-grade disinfectants to provide a comprehensive kill spectrum with minimum volume usage (which also means less harm to the environment), all without comprising medical-grade cleanliness. We also utilise a colour coded cleaning system to minimise the risk of cross contamination (all mops, buckets, and microfiber cloths are colour coded and only used in specific areas) and we give particular attention to "touch zone hotspots" such as doorknobs, handles, push plates, dispensers, faucets, etc. – all the places that bacteria breed through touch. Periodontal deep cleaning is also performed to ensure, for example, that carpets and floors remain in excellent condition, and that toilets are kept free of uric acid build up and the unpleasant odours which commonly occur in urinals. We use professional grade solutions and equipment to keep your centre fresh, clean, germ free and smelling great for the enjoyment and comfort of your employees and patients. We evaluate your requirements and utilise the latest in cleaning technologies to provide you with a complete cleaning solution at a competitive price. Even if your medical centre has unique requirements, or needs a broader range of services, our knowledgeable team can tailor a package specific to your office, examination or surgical areas, waiting rooms, labs, administration areas, building and car park. We also provide you with an important paper trail to ensure that audits, inspections and tasks have been completed within the frequency stipulated. Corporate Clean Property Services provides you with a complete cleaning package to ensure your site remains cared for to a high standard. We understand that Medical Centres and clinics require attention to detail and diligent cleaning procedures to ensure that high standards are maintained. A healthy medical facility environment requires a targeted approach, and thorough cleaning and sanitation of surfaces and spaces is critical in removing and reducing the spread of bacteria and viruses. Corporate Clean Property Services provides specialist training to its staff on products and processes to ensure that infection control is targeted and the highest levels of cleanliness are maintained. Our cleaners are all background checked, reliable, dedicated, time tracked and work from detailed check lists providing you with peace of mind that the result will be a thorough and quality clean.